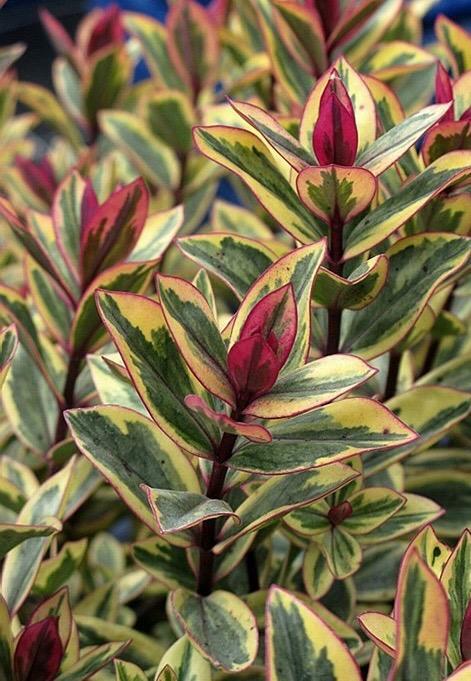 Tri-coloured red, green and cream foliage. Compact evergreen and turns red in colder weather. 60cm tall. Stocky mauve flower spikes June to August. Good in containers. Sun and good drainage.